2011 Hanoverian mare by Bretone out of EM Daydream (Davignon x Matcho). Beautiful red chestnut, very feminine, without any marish personality. Lovely lady's mount. Schooling Third Level with competition experience. Scores to mid-60's at Second Level. 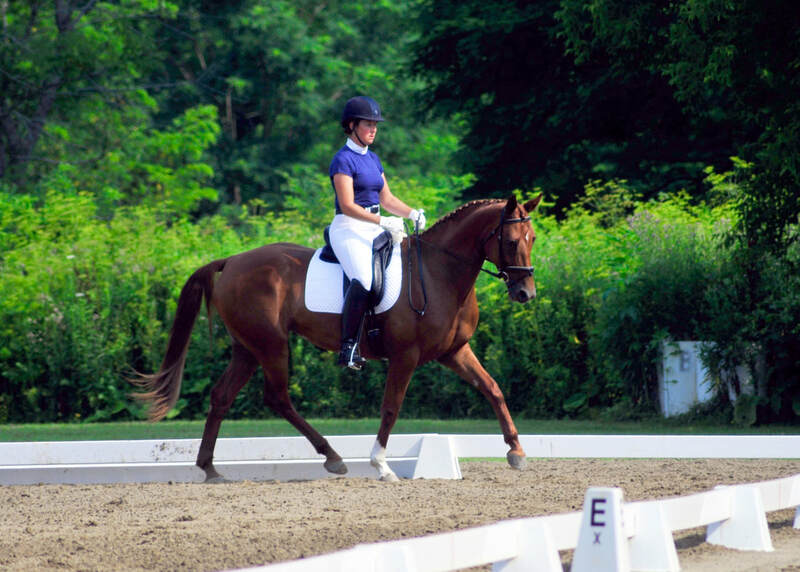 Very comfortable gaits making her an exceptional horse for children doing dressage seat classes. All prices are subject to change without notice as experience and training progress.